Hello :) We're having fantastic weather here at the moment. It was so hot and stuffy inside yesterday that I took my Big Shot etc out to the patio and made some stuff there for a while. I didn't realise until later that I had got my shoulders burnt - so I'll not be doing that today! Anyhow, today's card is to showcase the beautiful new Celtic Knot border punch which was released by Tonic Studios at the weekend. 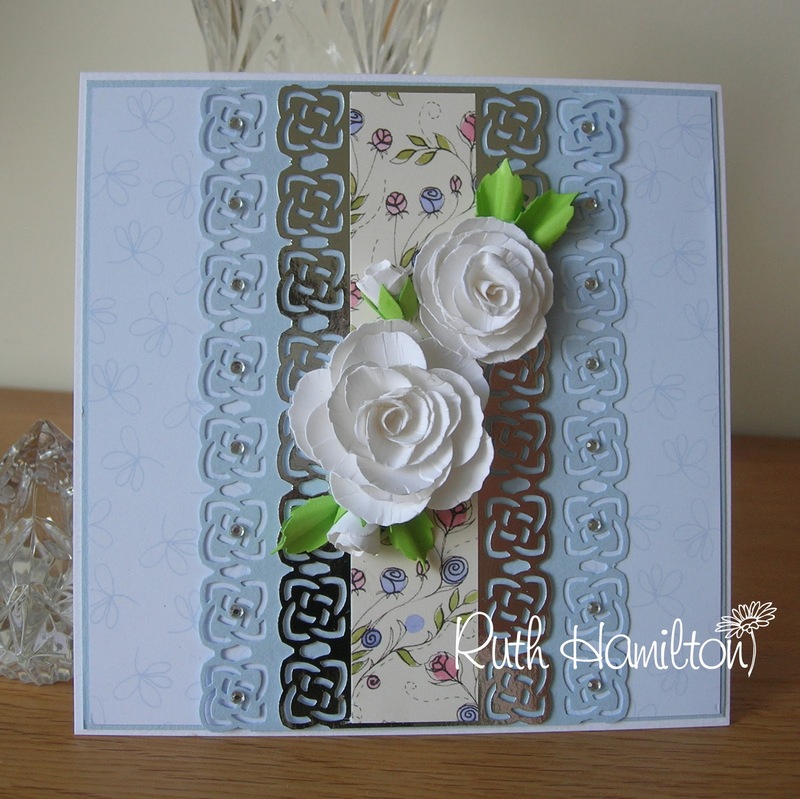 It would be great on a wedding card but I liked the idea of creating border panels with flowers in the centre. Both of the patterned papers used are from the Birds on a Branch 8 x8 paper pad and the plain blue, white and lime green are from Papermill. Here's a close up of the punched border showing how beautiful it looks with gems in the centre of the knots.